Once the Budget was the biggest event in February. Now it is just another event, not even as important as a student rally in Jawaharlal Nehru University. No longer does the Budget spell out radical economic policy changes. It has become more routine and boring. That is an excellent development. Budgets should not be sensational or full of surprises. India needs a tax-and-spending frame that is stable, predictable and not subject to constant shocks. That predictable reliability is needed in finance minister Arun Jaitley’s coming Budget. On assuming office, he pledged to achieve the target of the Fiscal Responsibility and Budget Management (FRBM) law, reducing the fiscal deficit to 3% of GDP, within three budgets. Last year he postponed that target by a year. Some economists are now urging him to abandon even the postponed target, and stimulate the economy in a big way to revive growth. But that would mean postponing his FRBM target a second time within three years. If he does that, he will be seen as unreliable and irresponsible by global financial markets, whom it is dangerous to ignore in today’s conditions. Many foreign investors are already withdrawing billions from India, and the outflow will become a tidal wave if they think India has abandoned fiscal discipline. The global mood is ugly. China’s economy is slowing, commodity prices have crashed and taken down commodity-exporting countries, and banks across the world are under stress. Across the globe, stock markets are falling, mining companies are going bust, and exports are declining. India has so far been resilient in this global financial storm, but that cannot be taken for granted. 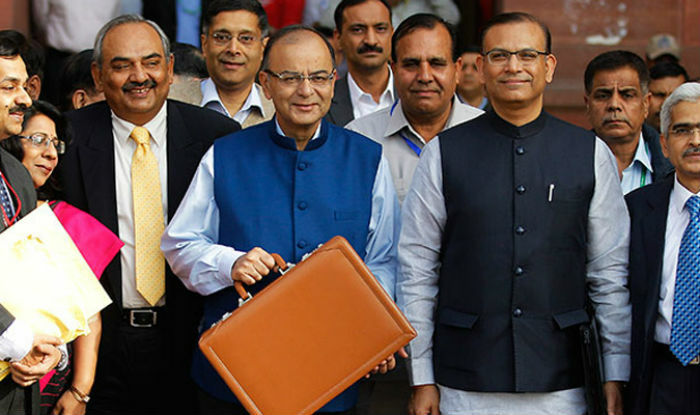 Jaitley’s Budget must not make India look unreliable and unpredictable. Reputations are difficult to build and easy to destroy. Additional infrastructure spending is surely a good idea. But that can be done by selling the government’s holdings of blue chips in SUUTI, which can fetch maybe Rs 60,000 crore. Public sector companies can borrow more to finance additional schemes, instead of getting money from the Budget. An expert committee has suggested selling old infrastructure — like roads or power plants — to finance new ones. So, Jaitley has many ways of funding more infrastructure while sticking to his fiscal targets. He is expected to raise the services tax from 14.5% to maybe 16%. If the national Goods and Services Tax (GST) becomes a reality, its rate will probably be 17-18%. It makes sense to move the current services tax towards that rate. Two low-hanging fruit have been ignored by successive finance ministers, and need to be grasped. One is to gradually raise the tax on beedis towards that on cigarettes. Smoking is a killer. To tax cigarettes heavily and beedis lightly implies that the government wishes to save richer folk (who buy cigarettes) from cancer while letting poorer beedi smokers get the disease. Rational beedi taxes can raise enormous revenues even while saving lives. Second, cricket betting is a multi-crore but illegal industry that must be legalized. Betting on horse races is legal, so why not on cricket matches too? This will fetch large tax revenues, create employment in a big legitimate industry, and hopefully reduce match-fixing. Last year, Jaitley came out with a welcome proposal to make India’s corporate tax rate competitive with those of Asian competitors. The current rate is 30%, and with cess and surcharge adds up to 34.6%. But so many tax breaks and exemptions are available that many companies pay only the minimum tax of 20%. Jaitley pledged to reduce, in stages, the corporate tax rate to a competitive 25%, and simultaneously slash tax exemptions to preserve his tax base. He should make a start in this direction in his Budget, cutting the corporate tax rate to perhaps 28%, and abolishing several tax breaks too. He should lay down a firm schedule for reducing the rate to 25% in the next two years. That will show that India seeks to be reliable, predictable and competitive in tax rates. He must also reduce India’s reputation for “tax terrorism”. The Vodafone tax case is under international arbitration, yet the government has threatened to seize the company’s assets if it does not pay up a disputed Rs 14,000 crore. Jaitley must withdraw this threat. The GST has been discussed for over a decade. The BJP stalled the required bill when it was in opposition, and the Congress is doing so now. However, after the Rajya Sabha elections in the next few months, the BJP and allies may gain 18 seats. If Jaitley can do deals with all regional parties, he may get Rajya Sabha approval. Jaitley must treat that as the most important political and economic goal of 2016.